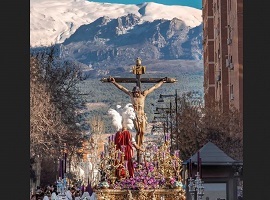 From the 14 to the 21 of April of 2019 Holy Week is celebrated. Check the mobility conditions on these dates. 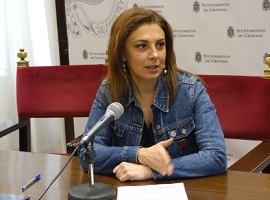 From Monday 11 extends its itinerary bus line N5, that will go through San Juan de Dios; bus line 11, that will get to Avenida de Cervantes, and bus line 21 will merge with bus line N4. 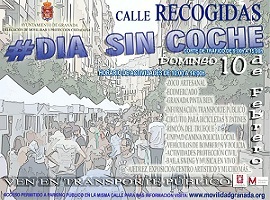 Next Sunday 10 March 2019, at Recogidas Street, we celebrate CAR FREE DAY. Activity Schedule from 10:00 to 14:00 hours. 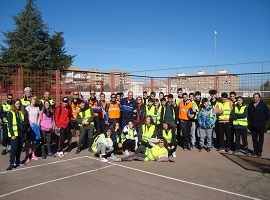 Last 26 and 27 February, included in european STARS project, there have been made several routes and practical classes for students of different centers in Granada. 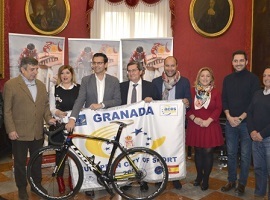 Granada will be the finish lane of the fourth stage of the 65th edition of the Vuelta a Andalucía - Ruta del Sol. 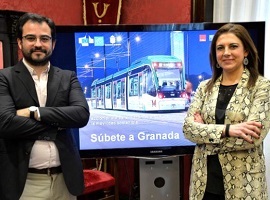 The City Council of Granada presents results achieved in the initiative of use of public transport. 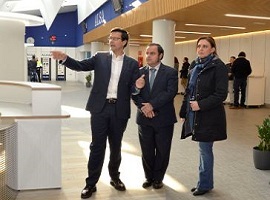 City Council inaugurates the recently renewed Bus Station where have been invested 230.000 euros. 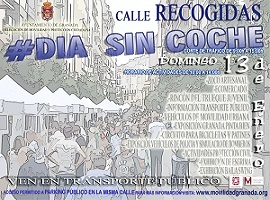 On Sunday 13 January 2019 celebrates a new Car Free Day in Recogidas Street. 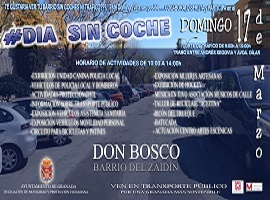 Activities schedule from 10:00to 14:00 hours. 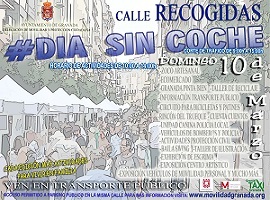 Use public transport.